This is a strange and personal post but I would love your support which is why I am sharing. I know it is not in my usual style so I hope I don't offend anyone. In the last 2 years I lost my maternal grandparents - Nanny and Poppa - who my family miss dearly. My Poppa died last month, and the help of Macmillan, Marie Curie and Weldmar Hospices allowed both their last days to be full of love, support and surrounded by family. 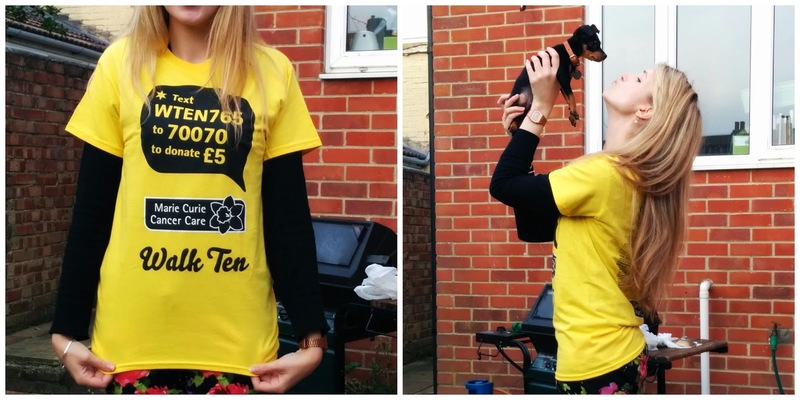 In honour of them, my mum and I are doing the Hampshire Walk Ten - a 10km walk in the New Forest for Marie Curie who care for people at the end of their lives. I am hoping to raise £180 to pay for a full shift for a nurse caring for someone in need. So please, if you have any money and are feeling generous, donate something to my Just Giving Page. Maybe donate the cost of your sandwich, the amount you were going to spend on a mascara or something? I know walking 10k isn't a huge mission but for my Mum and I it will be a huge experience and we really hope to make a difference. There is also a link in my sidebar. Please help me support Marie Curie to give families the peace and care we got.